Established Hair Salon In High Volume Traffic Location At Victoria Park And Eglinton! Huge Retail Space Hair Salon, 9 Stations, 4 Wash Stations, Very Profitable Turn Key Operation! 5 Year Lease Option Available. Separate Aesthetic/Spa/Massage Room(168Sq Ft), Minimum Rental Potential $900/Month. **** EXTRAS **** Low Rent ($3,333/M Taxes Incl., + Hydro & Gas). Full-Time Employee Would Like Stay On, Has Regular Clientele. Other Employees Are Part-Time With Their Own Clients. 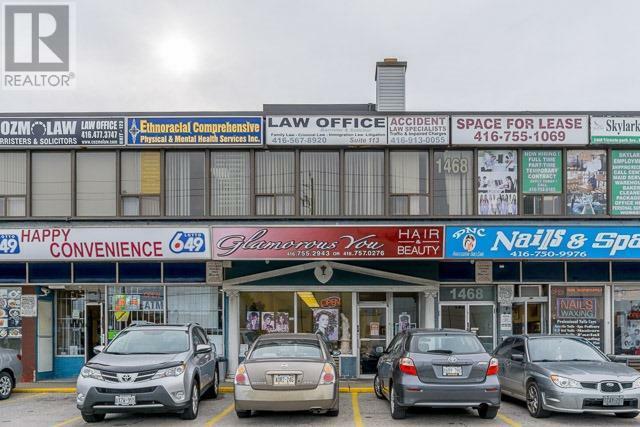 Great Location & Exposure From Across From Eglinton Square. Incl Inventory.